SM Kitchen Makeover Promo ~ Philippine Freebies, Promos, Contests and MORE! Are you an SM Hypermarket clientele? Here's your chance for a kitchen makeover. 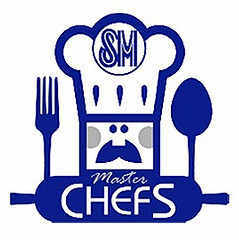 For only P500 worth of single receipt purchase, including a sponsor item of SM Master Chefs, you are entitled to join. Simply fill out a registration form and answer the question, "Why does my kitchen deserve a free makeover?" and attach three (3) printed photos of your dining area. Enclose it in an envelope and drop on the designated drop boxes at the customer service counters of all SM Hypermarket branches. Five (5) winners will be selected to have their kitchens redesigned and furnished by professional designers from Philippine School of Interior Design (PSID). Fill out the registration form available at the customer service counter of SM Hypermarket and answer the question, "Why does my kitchen deserve a free makeover?" in 50 words or less.